In the latest management changes, Kia has appointed Paul Philpott as its new chief operating officer in Europe and hired Toyota's Michael Cole as its new U.K. boss; Infiniti has picked Frenchman Philippe Saillard to head its European sales operations and VW has switched Kevin Rose, its sales chief in America, to China. Philpott moves to Germany from U.K.
Two former Ford executives are taking top positions at Kia. 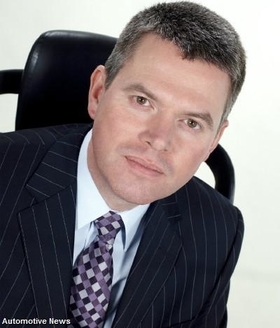 Paul Philpott will be the new chief operating officer of Kia's European operations. Philpott, 42, will be responsible for Kia's European operations including sales, marketing, and aftersales and will manage relations with the company's car assembly plant in Zilina, Slovakia, where the Cee'd compact hatchback and Sportage SUV are built. Philpott, an Englishman, will move to Kia's European headquarters in Frankfurt, Germany, from England where he is head of Kia Motors U.K. He will report to Kia Europe President Sun-Young Kim. Philpott began his automotive career with Ford in 1988. After nine years in Ford's U.K. sales and marketing division, he moved to Toyota where he rose to lead the Japanese brand's U.K. sales, marketing, aftersales and logistics operations. Kia Europe has been without a chief operating officer for 12 months since former COO Paul Willis, an Irishman, quit to head Volkswagen in Ireland. Toyota's Michael Cole will replace Phlipott at Kia's U.K. operations. Currently, Cole, 45, is Toyota U.K. sales director. He has been with the Japanese brand for 15 years. Before that, he spent 10 years working in the Ford dealer network. Philpott and Cole will start their new jobs in August. Saillard moves to Infiniti from Nissan. 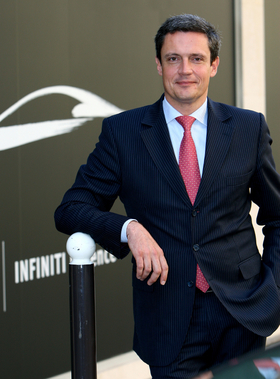 PARIS -- Infiniti has appointed Nissan executive Philippe Saillard as its new sales director for Europe. Saillard, a 43-year-old Frenchman, has 17 years experience in the auto industry, most recently serving as Nissan's sales director for western European markets including France and the Netherlands. He moves into the Infiniti sales post at a critical moment for the Nissan-owned luxury brand. Infiniti, formerly only sold in North America, has been gradually launching sales across Europe since October 2008. Infiniti dealerships are expected to open in the key markets of Germany and the U.K. this summer, while a series of new products will launch beginning in September and continuing through 2010. Volkswagen brand's head of sales in America, Kevin Rose, will take charge of sales operations at VW's joint venture with China's First Auto Works. Rose is a VW veteran who headed Audi sales in the U.K. before moving to VW's Wolfsburg, Germany, headquarters to lead international projects. He has been the VW brand's head of sales in North and South America since 2008. In his new role, Rose will seek to further improve VW's brand positioning in the Chinese market. Rose will take charge of sales activities at FAW-Volkswagen Automotive Co., effective July 1. FAW-Volkswagen builds six VW models including the Golf, Jetta and Sagitar and the Audi A4 and A6. Jutta Dierks will succeed Rose as head of VW sales in America. Dierks has been head of VW Group sales in Australia since 2005. Anke Koeckle wil be VW's new sales director in Australia. Koeckler has been VW's director of sales for northern Germany since 2005.